I read this article and found it very interesting, thought it might be something for you. 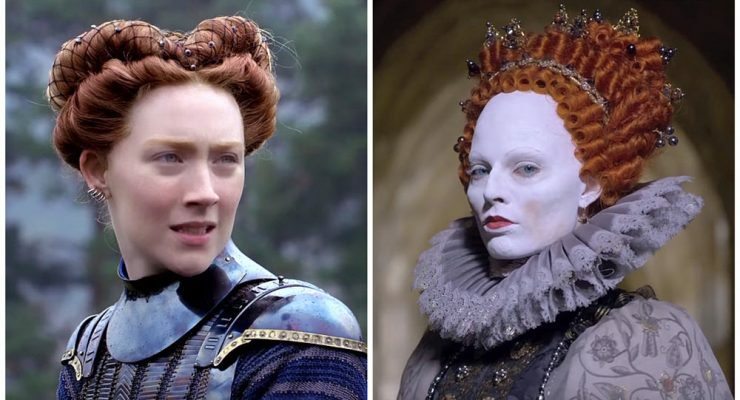 The article is called Cinema Review: Mary, Queen of Scots and is located at https://www.totallydublin.ie/film/cinema-reviews/cinema-review-mary-queen-of-scots/. Two queens ruling in a time of kings. This is the axis upon which this film revolves, allowing debutante director Josie Rourke to explore a much more personal type of chaos and tyranny; the one that runs through us all. In amongst a deluge of bloodshed, we get to see a human-face to two figures shrouded in myth – Mary Stuart and Queen Elizabeth I. The two protagonists, played by Saoirse Ronan and Margot Robbie respectively, are as ruled by their own insecurities as their desire for the throne. They are, at once, wary and in awe of each other’s wit, intelligence and beguiling beauty. Yet, the director leaves us in no doubt that the ideas that these woman have of one another are constructions built around how they want themselves to be seen, or perhaps feel they must be. Watching this duality play out; on one hand the honest side of their private lives and on the other, the carefully curated images that they struggle to maintain, is endlessly intriguing. They are in the game of ruling kingdoms and they’re fighting a multifaceted war of both politics and religion, yet due to two scorching yet delicate performances, this fact seems secondary. The war they are fighting seems always to be with themselves, internally. Rourke’s theatre pedigree shines through as the scenes are sumptuously set and the drama well paced. The film has been subject to some fairly critical reviews, which are as much a statement of the times as of the film. Is it feminist? Enough? Too much? It doesn’t matter. It’s a good film about two incredible women from history. As it’s a historical piece, trying to view it through a contemporary lens limits the experience, taking away from an impressive debut feature.